​Barring an unbelievable comeback combined with an epic collapse by a postseason contender, the Washington Nationals will not be playing October baseball. 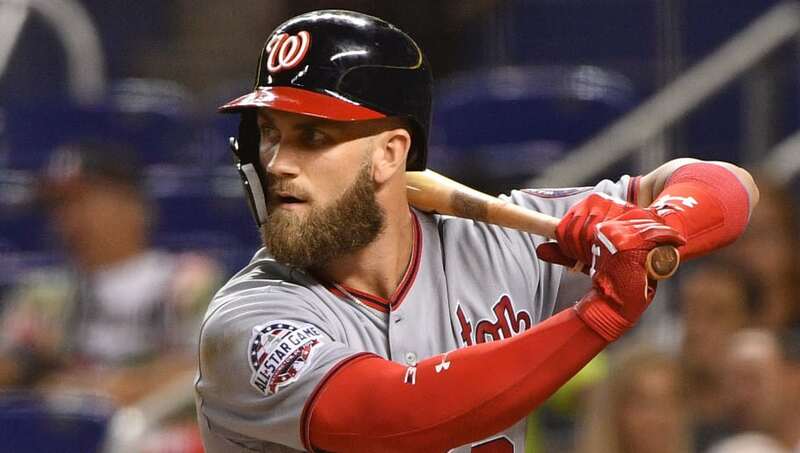 And that means superstar Bryce Harper could be entering his final homestand in the nation's capital. According to Bovada, the ​Chicago Cubs are the favorites at +150, while Harper's own Nationals only have the fifth-best odds at an anxious +700. The Cubs make sense on a couple fronts. We know they have deep pockets and can actually foot the $400 million tab that it will likely take to sign Harper. On top of that, the five-tool star is good friends with former MVP Kris Bryant, whom he grew up alongside in Las Vegas. ​​The Los Angeles Dodgers (+350), New York Yankees (+450) and ​Philadelphia Phillies (+650) all have higher odds than the Nationals. All three franchises play in big markets and have the means to sign a player of his caliber to a mega-deal. And they all have boasted better records than the Nets pretty much all season long. We shouldn't underestimate Harper wanting to return to D.C. The Nats may not be able to offer the biggest bag of money, but as long as they are close to the highest bidder, don't be shocked if he's back wearing the curly W on his cap. But for now, it's okay to feel uneasy if you're among the Washington faithful.